Anihan now offers Senior High School! Expect an intense, full-packed, highly-enriched Senior High School Program with a special focus on Food Service. 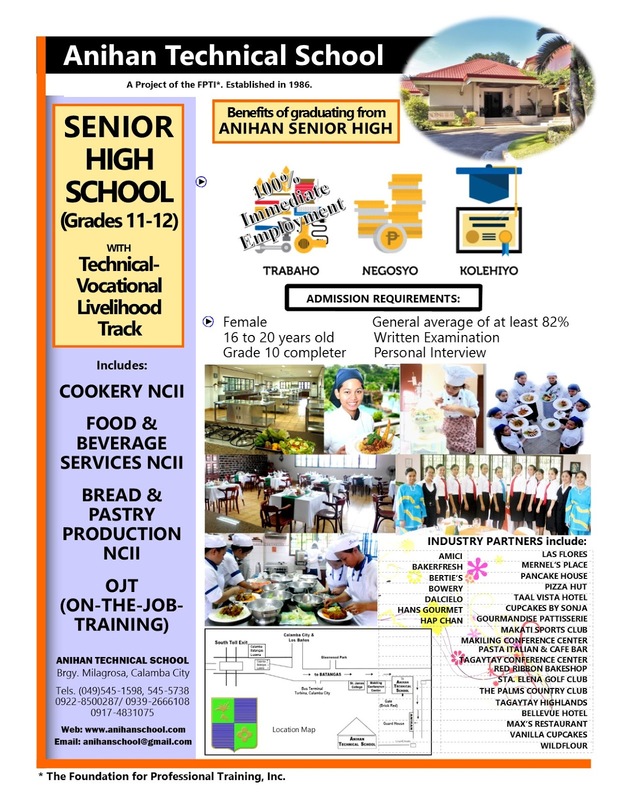 Anihan's Two-Year Scholarship Course in Food Service is now a SENIOR HIGH SCHOOL TECH-VOC TRACK PROGRAM approved by the Department of Education. You can always expect the best education and skills training from Anihan. For more details, go to STUDY IN ANIHAN.